Each system is easily customized to your property’s unique configuration and your needs. Consult with CDI security experts to find the solution that’s right for you. 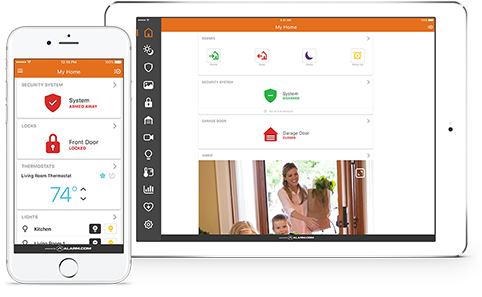 Seamlessly connect the key devices in your home or business in one platform — so they work together and work smarter. Don’t miss a moment of activity. Receive video alerts sent you via text or email, watch live steaming video and recorded clips for your phone, tablet or computer. 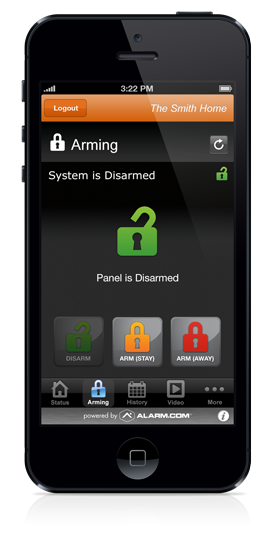 Arm and disarm your system from anywhere, check your system’s status and view recent activity from your app. Door and window sensors alert when triggered, so you never have to wonder if your home is secure. Motion, door, and window sensors allow you to always know what’s going on in your home. Continuous monitoring and support that stays up all night so you can rest easy. 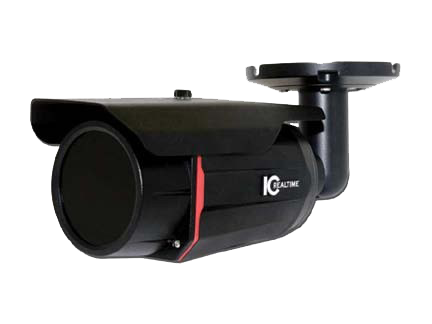 They keep an eye on activity at your property with professionally hosted video monitoring. Fast response for intruder, burglary, damage, theft and more. 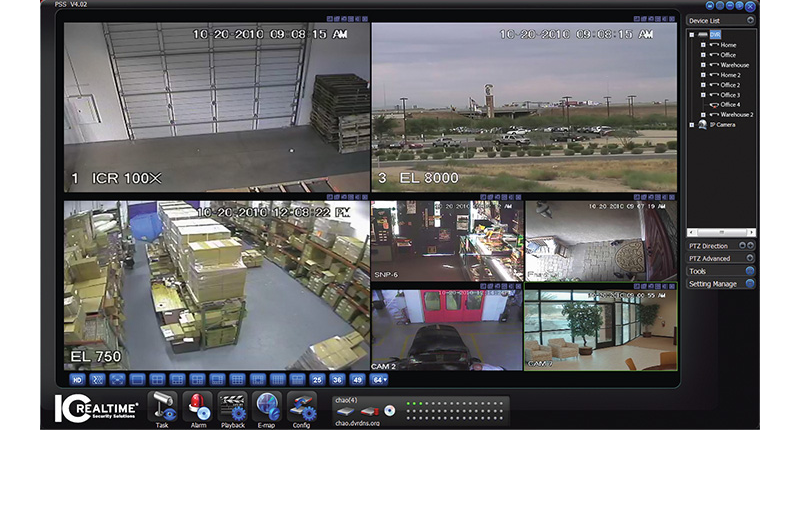 Should an emergency occur, remote video surveillance can be a huge advantage. Off-site personnel is able to survey multiple angles at once, easily determining the exact situation and appropriate information to relay to authorities. 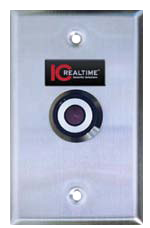 Control who has access to your property, and when, with integrated control for door locks and garage doors. Create unique lock codes for each user, and set a schedule to control when the codes can be used. You can limit access by day and time. You can create and disable codes at any time, so there’s no need to rekey or change your locks. Garage doors are a key entry point to a property. Now you can remotely open or close the garage door and get a notification if the door is left open when it shouldn’t be. These cameras will remain in color mode much longer than standard cameras and can produce a usable image in the darkest of conditions. Infrared illumination is used more efficiently and will deliver a bright, clear image without the usual nighttime flicker and noise. 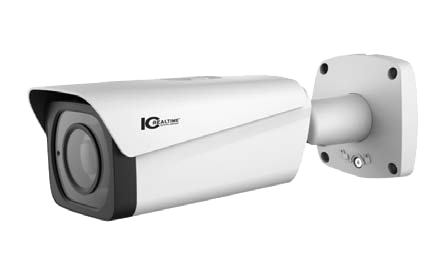 I-Sniper cameras represent a whole new level of performance for night vision surveillance technology. The I-Sniper line will deliver a brighter and clearer nighttime image. that can survive harsh weather, vandals and more. WHY USE BULLET AND DOME CAMERAS? 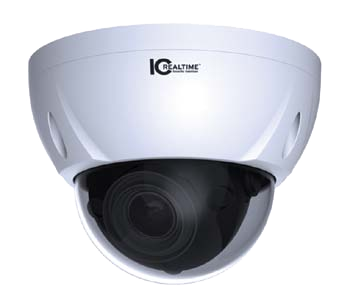 Bullet cameras are generally smaller and easier to install than dome cameras, making them a good option for residential installations. Because they are so easy to install, bullet and box cameras also have more placement options available. However, unlike most dome cameras, it is easy to see where a bullet or box camera is pointing. Many installations require a combination of bullet/box and dome cameras. Immersive 360×360 security camera platform, instantly capture the entire 360-degree environment at every angle. View what’s happening live in 4k resolution and say good-bye to fuzzy video! Missed something? Cloud recording will help you go back in time and see what happened while you were away in the most immersive way possible. Covert or hidden cameras are a powerful tool in the surveillance arsenal. Covert cameras aren’t just for spy movies. They have an important real world application in the surveillance industry. Criminals often use hats and hoodies because they know that they can use these common items of street wear to conceal their identities from overhead cameras. Using a combination of overhead cameras and covert cameras placed below eye level can capture the faces of suspicious individuals, which can aid in the arrest and prosecution of criminals. Protect what matters most with more than a locked door. 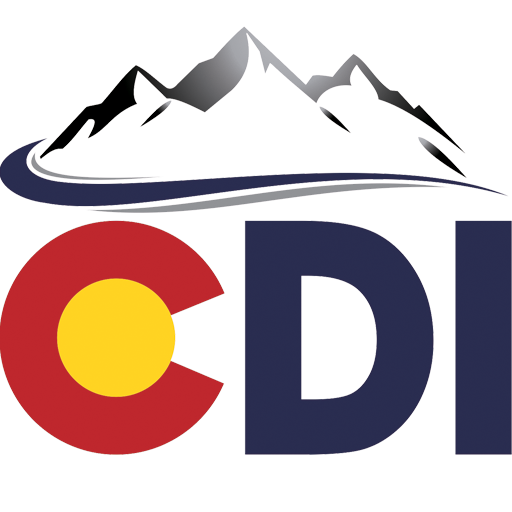 CDI integrates seamlessly with top security systems, giving you complete peace of mind – wherever you are. Affordable products that offer maximum surveillance bang for the buck. Perfect for homes, offices and small businesses. These products strike a balance between affordability and high-end features. Ideal for larger projects like office buildings, parking lots and shopping centers. Our top-of-the-line products offer the very latest features and the highest resolution. Suitable for the largest projects or for clients whose unique needs call for the finest surveillance technology.